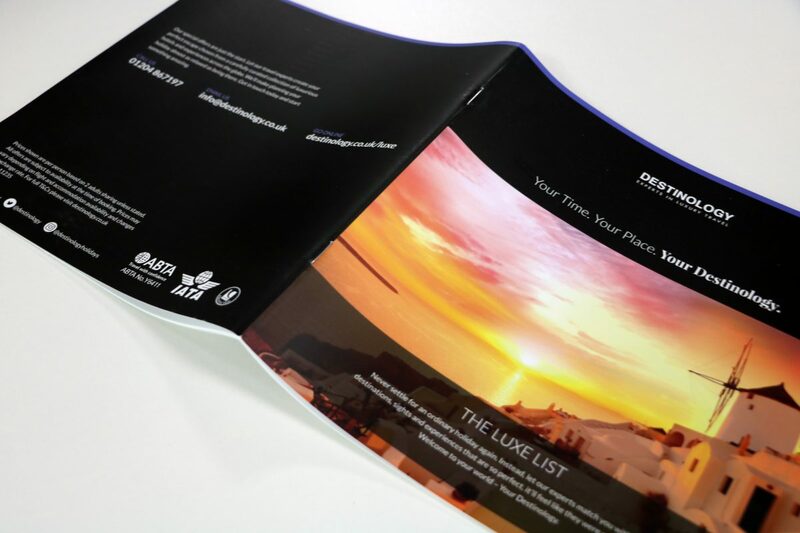 Data management, print, binding and envelope enclosing for a large luxury holiday provider. Destinology wanted to trial direct mail campaigns to see if it improved their ROI and enhanced their brand value. Previously, much of Destinology’s advertising was online, hence they wanted to explore the opportunities that mail presents without spending a large amount of money. 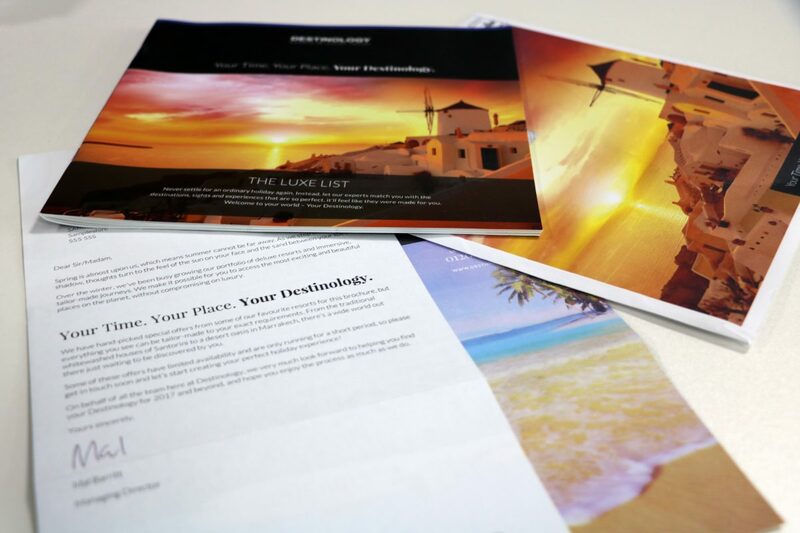 At MetroMail, we used variable data and artwork to produce mailings that were personalised to Destinology’s clients. By utilising our ‘white paper solution’, personalised cover letters were created using Inkjet printing, whilst high-quality brochures were produced using Litho printing and finished with a peach laminate cover. Finally, these were enclosed into a full colour envelope. MetroMail are a valuable part of our marketing team. Previously, much of our advertising was online, however, following the introduction of a single customer view database, we saw the opportunity to introduce direct mail campaigns. MetroMail have made this process simple for us, providing a full end-to-end solution from printing to postbag. The results have been fantastic, allowing us to showcase our luxury brand through the quality of print and paper and a tangible product. We first mailed in July 2016 utilising inkjet personalisation and envelope enclosing. We now run mailing campaigns to an average of fifteen-thousand customers each month, resulting in around 250% ROI for each campaign and contributing towards the continued growth of the business.